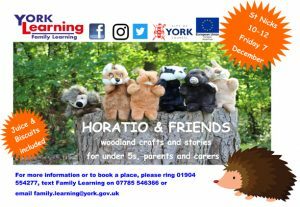 Come along to meet Horatio Hedgehog and his woodland friends at the Environment Centre. Enjoy learning woodland crafts and listen to stories for under 5s, parents and carers. 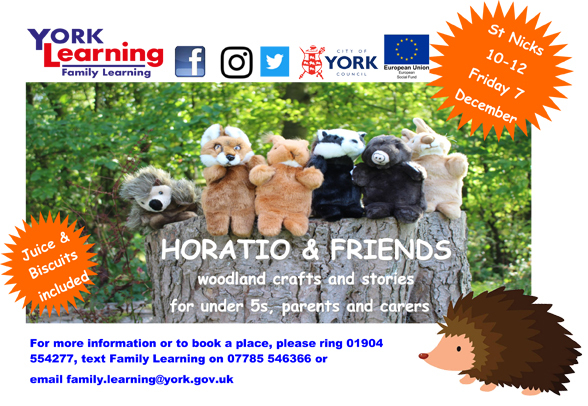 Led by the team at York Learning, this workshop has been designed with younger children and their carers in mind. Join in the fun and find out more about the team’s other family activities. Juice and biscuits included.